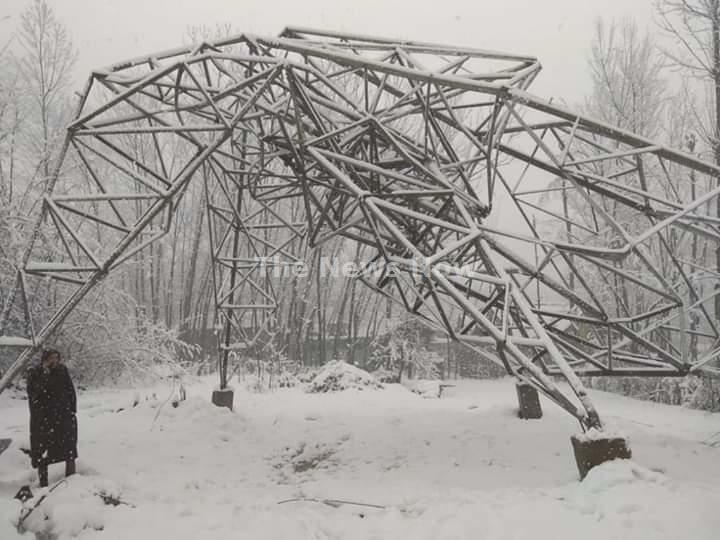 Bandipora, Feb 07: An under construction transmission tower of BBTL collapsed in north Kashmir's Bandipora village on Thursday morning due to heavy snowfall. Reports reaching here said that an under construction transmission tower of BBTL collapsed at Ajas village this morning due to snowfall, however, there was no report of any injury was in the incident. Two days of heavy snowfall combined with rains that added to the significant weight on the roof and supporting structure, which resulted in collapse of an under construction transmission tower of BBTL an official in civil admin told TNN. Meanwhile Deputy Commissioner Bandipora Shahid Chowdary in a tweet said that Chief Engineer concerned S&O strated enquiring into the incident.